This rediscovered masterpiece captures a chilling moment in the stifling early days of Communist Czechoslovakia. 1950s Prague is a city of numerous daily terrors, of political tyranny, corruption and surveillance. There is no way of knowing whether one's neighbor is spying for the government, or what one's supposed friend will say under pressure to a State Security agent. A loyal Party member might be imprisoned or executed as quickly as a traitor; innocence means nothing for a person caught in a government trap. When a little boy is murdered at the cinema, the ensuing investigation sheds a little too much light on the personal lives of the cinema's female ushers, each of whom is hiding a dark secret of her own. Heda Margolius Kovaly, a Czech writer and translator, was born in 1919 in Prague to Jewish parents. Under a Cruel Star, Kovaly s memoir of her time in Auschwitz and the early years of Czechoslovak communism, was first published in 1973 and has since been translated into many languages all over the world. 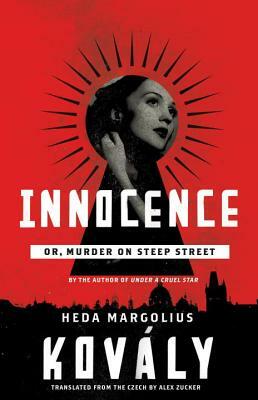 Her crime novel, Innocence, is based in large part on her own experiences in early 1950s Prague. Kovaly died in 2010 at age 91. Alex Zucker has translated novels by Czech authors Jachym Topol, Miloslava Holubova, Petra H lova, and Patrik Ou ednik. He has received an English PEN Award for Writing in Translation, an NEA Literary Fellowship, and the ALTA National Translation Award. Alex lives in the Greenpoint neighborhood of Brooklyn, New York. Visit his website at www.alexjzucker.com"